Still looking for an opportunity to express yourself in the brightest and loudest way? Well, it’s time for a December miracle! MAGE10 – these are six symbols that would help you to get an amazing website using Magetique, our thematic Magento template without spending a mint of money. Are you interested? Needless to say, winter has always been a season of wonders. Charming weather, beautiful snowflakes covering the streets and holidays mood may inspire anyone, but here is another thing to make you happy! Would you like to be your own boss? Have you ever dreamed about creating a great eCommerce website without losing a mint of money in order to hire a professional web designer or developer? I guess you have! 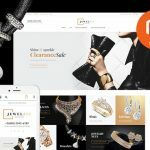 For this simple reason, we propose you to take a look at the review of Magetique, newest Magento theme as now you are able to get all of the mentioned and even more! Originally, Magento is a flexible, well documented platform, which can help you to build an online store, blog, gallery, forum, advertisement site or any other site connected with sales. Moreover, you are able to have everything in one package. In a word, here is your chance to get an amazing eCommerce website of any size and for any type of business. As a result, you became the owner of a perfectly running online shop with no effort. To begin with, let’s learn some points about Magetique theme. Without a doubt, we did our best to introduce you this amazing and long-awaited template. So, why choosing this theme would be a wise and an advantageous decision for the future of your online business? Before all else, templates are thematic, ready-made pages that assist you during the process of website creation. It means that today you could get a desired ideal site with no effort, even if you have never used such service before. Built with a valid, semantic code templates are easy in use and bring you an opportunity to start your career just out-of-the-box. Thus, the package includes all the modern features. Such as MegaMenu, parallax effect, commenting system, Google web fonts, live search, dropdown menu, social block and other options that make the inherent part of your work. Certainly, there is a place for creativity near the quality. 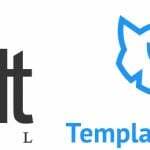 Seeing that, Magento has a truly large collection of newest and brightest templates that were diligently created by TemplateMonster. Adaptable to any type of business, the themes are easy in installation as well as in usage. In addition, each of them has detailed instructions about this process. Furthermore, we provide you with free 24/7 Technical support, so don’t hesitate to contact our professional team with any questions as they are always happy to help you with the creation of your perfect site. All in all, this article will be useful for you, because we are going to introduce you our recent leader among the clearest templates called Magetique. Are you ready to get the eCommerce website of your dream? Let’s find our more information telling you how to do it in the easiest way. Below we put a list of 5 points showing the unquestionable pluses of using these wonderful templates. 1 First of all, the performance of your business will always be one of the most important things, especially when it’s about a quick development of an online store. In this case, using the recent version of Magento improves pages generation and shows an increase of 40 percent over the last product. Overall, these progressive themes will definitely save your time, so you may spend it in realizing your brave ideas or having some rest before new achievements. 2 Another valid point of using Magetique theme is about dynamic, personalized content and clients segmentation. Don’t miss these useful features as they promote a higher volume of sales for your future eCommerce website. There is always a room to improve! 3 Talking about the technical side of an eCommerce website creation, the improvement and elaboration of modules make a quite important thing for the creation of a powerful and perfectly working site. Do your best! 4 Does the team of your online store has more than just a couple of workers? In view of this fact, an overwhelming control of your business should be your priority. Would you like to get it? Can’t see the problem! Now you have a possibility to see all the activity and keep an effective control under your staff’s actions. Stay in touch with your business wherever you are! 5 Would you like to transform your potential visitors into regular customers? Interest them! Indisputably, a happy buyer is a regular buyer, so go further and entertain the guests of your website. How can you do it? Seeing that, we advise you to think about marketing. Using Magetique theme allows you to add to your online shop such good things as bonus system, gift certificates, private sales, auctions and other proposals that will certainly inspire your customers. Don’t hesitate and use all the chances to please the guests of your website with the help of Magento product. Finally, you can get 10 percent discount on this high-quality, multipurpose template! For this reason, use promo code MAGE10 for buying Magetique – the most majestic Magento theme. Don’t hesitate as the proposal is active from now and till the end of December. Now let’s take a closer look at the technical part of the Magetique theme! As you may see, Magento platform was pre-loaded with 5 sparkling layouts for a variety of the eCommerce niches. Without a doubt, you will definitely find a unique and useful layout that will be appropriate for your website. For this simple reason, each of the provided layouts includes a ready to use, fully functioning template, which is here in order to guide the visitors through your online shop and transform the process of their shopping into a pleasure. In all honesty, Magetique provides you with a wide choice of inimitable design customization options that you may get just out-of-the-box. With its’ help you are able to edit the appearance of different pages and elements to make your site perfect. Obviously, using Color Scheme Tool doesn’t require any special skill of working with Cascading Style Sheets, so you may change the style of your pages with no effort. In addition to 4 color schemes, you get 5 header design layouts that help you to modify the look of your website in a quick way. Be free to experiment with these features to find out the variant, which will be suitable for your needs and get its’ popularity between the customers. Don’t forget that all of the mentioned functions come with the template and available for using. Many of them are already packed, but there are also several extensions that soon will be added for you as an update. For today, MegaMenu is one of the most popular Magento features, so every modern eCommerce website has it. Would you like to wonder the guests of your store? Well, now you can do it with the help of our recent extensions for Magetique theme! Made for your comfort, they supply you with an additional menu customization options. Thus, now you have a possibility to add some images, banners or other media just right to your menu. Moreover, the updates allow you to mix up your categories and subcategories any way you want it. Do you want your guests to sort through your products without a glitch? In this case, meet Ajax Catalog Filter! With the help of this easy but still powerful feature your customers will be able to find a needed item. Moreover, the extension will literally save people’s time, as all the pages of your site will load instantly and the process of search will definitely speed up. Parallax Scrolling is a pleasant new web design trend that involves background moving at a slower rate to the foreground. As a result, one gets a 3D effect when they are scrolling the page. This modern feature makes your online store look stylish and attract your visitor’s attention. Here is another easy but important option for your website as with the help of this form you let your customers subscribe to your updates in one click. In addition, a properly placed newsletter popup can unquestionably increase the base of your subscribers. Would you like to get rid of a particular product from your store or maybe you have a fresh item to show? Don’t hesitate and feature your products using this incredible extension as it allows you to feature any desired items on the specific pages throughout your web store. Wishlist is another important part of any active online shop. This feature gives your shoppers a possibility to tag some products they like and add to wishlist for making further decisions. Additionally, the number of items one could tag is usually unlimited, so you let your customer feel free in his wishes. Needless to say, for many years of online shopping existence product comparison became a vital and even indispensable part of any professional web store as the function saves the time of your buyers and helps them in making the best choice by comparing different products. This practical feature points any location and places of your open shops. 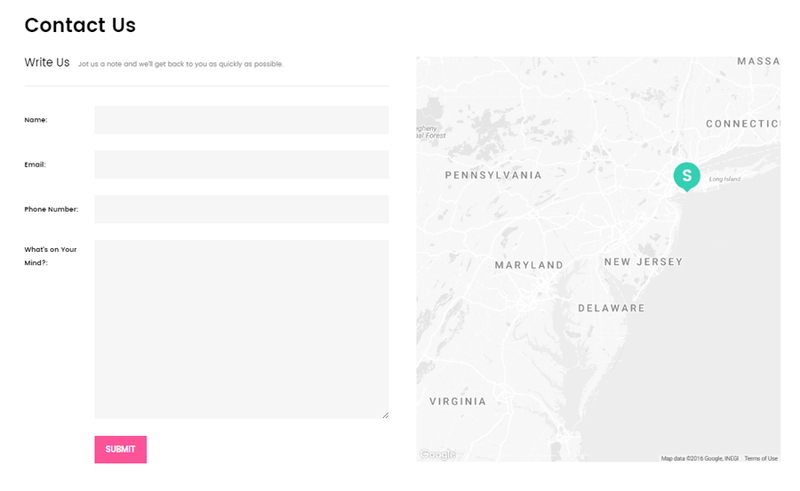 So, your potential customer will quickly find them with the help of a build-in Google map. Certainly, such step will expand the audience of your service. Here is another great opportunity to catch your visitors’ eye to the particular product! Be free to develop the marketing system of your services with the help of adding, updating and changing the labels for the specific products. Don’t you think that it’s a good idea to display the latest updates of your website on some social networks’ profiles? For this simple reason, the Social Sharing feature was included! With its’ help people could share the information about the desired items on their account, so here is your chance to increase the auditory of your web store. Would you like to sell some products as soon as possible? Don’t miss this feature! Now you can propose a particular item for sale for a short period of time with the help of Countdown Timer option. 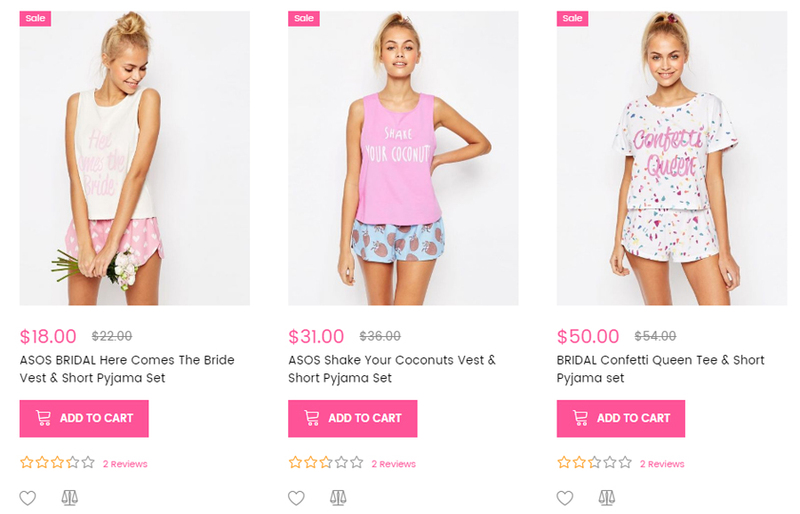 As a result, the matched product will positively get a real interest from your shoppers! In addition, check the full list of additional modules that you may use for such reasons. All of the written features and extensions were created for your convenience in order to help you with the prosperity of your online business, so have no doubts about the quality as Google Page Speed and GTmerix will both give to your eCommerce website the highest score. Furthermore, your website will look marvelous in all the browsers and on all the devices! In the addition, remember to check our YouTube channel as you will surely find here a lot of useful videos. For example, you could get more details about website building, Magetique installation and using guides, different templates review and other supportive information. All in all, all the videos were made to help you with website building. Moreover, be free to contact our Service Center, if you would like to have more info about installing, using or modifying Magetique theme, their functions, features, etc. We will be happy to help you in becoming your own boss and creating an excellent website, which combines beauty and power. 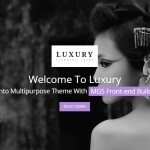 In conclusion, what is your opinion about these new extensions for Magetique template? Are they useful enough for the creating of a strong, entertaining and professional web store with a wide audience? Maybe, you have already used some previous versions of Magento themes and have some opinion to share? Help us to become better for you! Don’t hesitate to leave your thoughts, questions or advises below this post! Are you still reading? Don’t waste your time anymore! 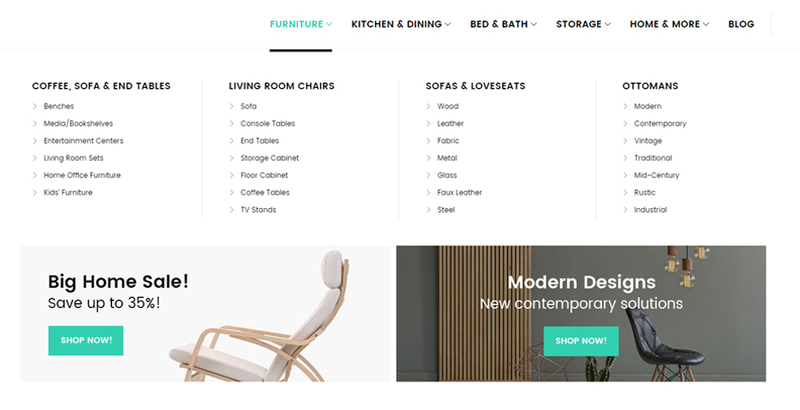 Go here and find your special multipurpose theme for a perfect eCommerce website. Be free to pin your hopes on Magento products while creating your future.